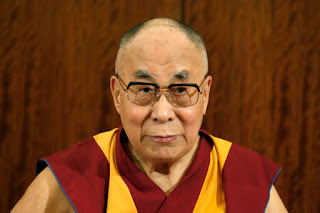 Home » »Unlabelled » Dalai Lama: Humans Created Terrorism, So Stop Praying To God For A Solution. Dalai Lama: Humans Created Terrorism, So Stop Praying To God For A Solution. Prayer alone will not be enough to stem terrorist attacks like the shootings and bombings last week that devastated Paris and shocked the world, the Dalai Lama said. The Buddhist spiritual leader from Tibet said in an interview with German media outlet Deutsche Welle on Monday that terrorism is a problem caused by humans and, thus, must be fixed by mankind without God’s intervention. “People want to lead peaceful lives. The terrorists are short-sighted, and this is one of the causes of rampant suicide bombings. We cannot solve this problem only through prayers,” the Dalai Lama said as part of a response to a question about how he viewed the attacks. Other religious leaders, like Pope Francis, have encouraged followers to join him in prayer after Friday’s series of shootings and bombings that killed at least 129 people and injured more than 300. It would also be unwise to expect politicians to devise solutions too, the Dalai Lama said. “So let us work for peace within our families and society, and not expect help from God, Buddha or the governments,” he said. Though the conflict between Western secular countries and radicalized Islamist terrorists is often depicted as a clash of civilizations with irreconcilable differences, the Dalai Lama said the struggle is not nearly as stark. The Dalai Lama’s comments echo remarks he made in New York on his first visit to the city after the Sept. 11 terrorist attacks. During that trip, The New York Times reported that he said “compassion, dialogue — peaceful means” are the“real antidote” to terrorism. “‘Terrorism comes out of hatred, and also short-sightedness,” he said.